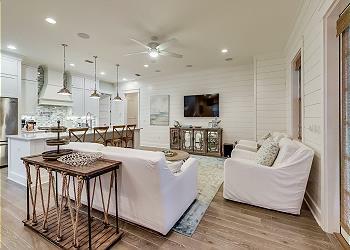 Enjoy all that WaterColor has to offer when you stay in this newly constructed home in WaterColor's Lake District. This fabulous 5 bedroom home is located near many of WaterColor's amenities including The Boathouse, Western Lake and the Frog Pool! This picture perfect home on Scrub Oak Circle has it all. "Happy House" - Gulf Front Home! Spectacular Views! 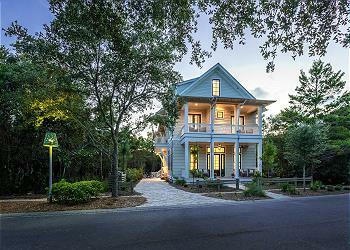 164 Needlerush Drive is a luxurious home filled with coastal accents. 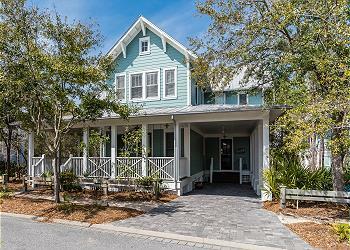 215 Salt Box Lane is a shingle-style 3 bedroom, plus loft, 4 bath beach-home in WaterSound. It is under new ownership, is filled with new upgrades, has garage access upon request, and there is abundant spaces parking in the rear. 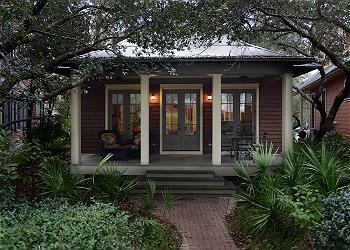 Coastal charm abounds in this amazing cottage for 12 located in the Camp District. 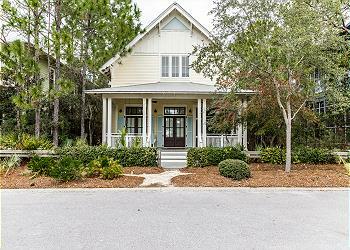 Welcome to rest and relaxation when you choose this beautiful 5 bedroom home (including carriage house) for your WaterColor Vacation! 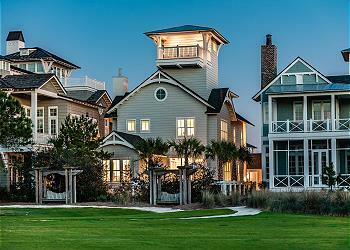 Welcome to "Sea Pearl", a beautiful beach haven located in Seacrest Beach! 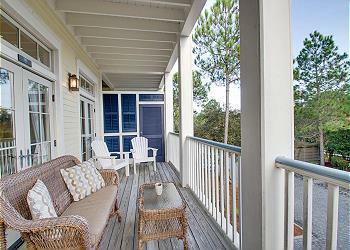 Lounge on the third floor balconies while enjoying the views of the Seacrest Beach community. 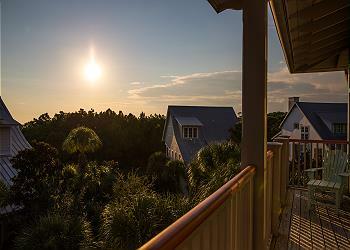 Enjoy your Seacrest Beach vacation to the fullest when you stay at 29 Beachcomber Lane! This freshly updated three bedroom, two and half bathroom home comfortably accommodates nine guests. Check availability and book today! 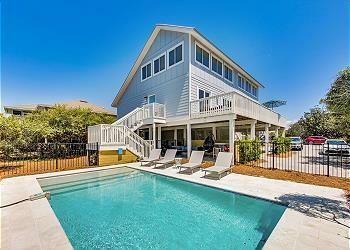 "Villa Bon Secour" is a lovely 3 bedroom home located in Seacrest Beach. 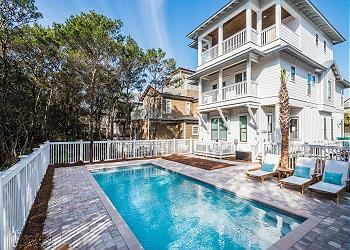 Enjoy the private pool, community dock, and swift access to the beach. 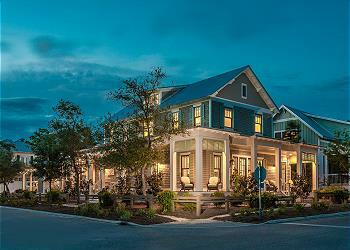 West Indies style lightens up a bit in this multi-family residence with accommodations for six in the Park District. The amazing galley kitchen comes complete with top of the line appliances and granted counter tops. 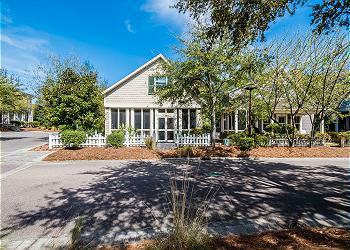 Luxurious three story home in WaterSound with incredible outdoor space great for enjoying the pleasant Florida sunshine. 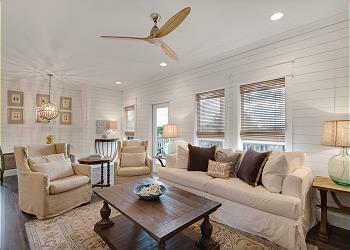 This inviting home features everything you need to enjoy your coastal retreat. This Watercolor condo is in the perfect location! 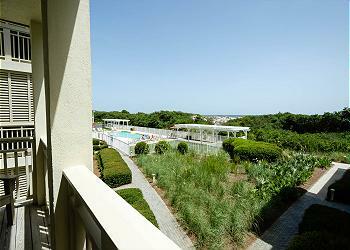 Close to the Beach Club, Cerulean Park, Wine World and more! This 2,220 sq. 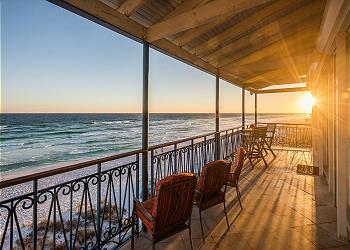 foot Gulf Front condo overlooks the Emerald Coast's famous white sandy beach and emerald water. This cozy cottage exemplifies what WaterColor is all about. It is conveniently located across the street from Camp WaterColor and within walking distance to all amenities. Check availability and book online! 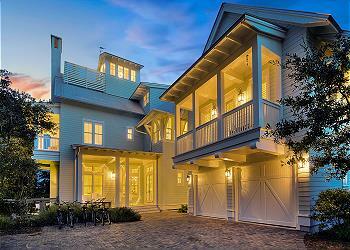 This one of a kind, six bedroom beach haven is located in the exclusive neighborhood of WaterSound Beach. Guests will greatly enjoy the private pool, fabulous furnishings and a short walk down the winding boardwalk to the white, sandy beaches. 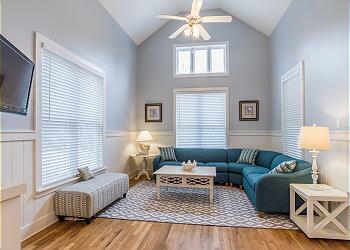 Welcome to this cozy and comfortable cottage that feature an open floor plan with hardwood floors throughout. 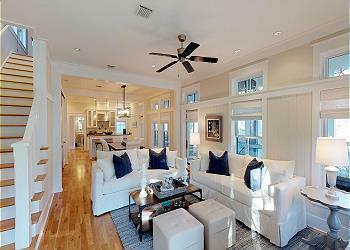 Beautiful brand new spacious home in Grayton Beach with amazing Gulf views! 8 bedrooms, including 2 masters, with room to sleep 20! 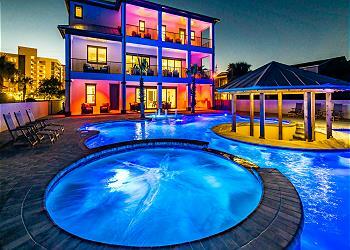 Features include elevator, private pool, game room, bunk room, steps to beach! This beautiful 5 bedroom, 5 bath in home Frangista Beach sits on a premium Gulf-front lot with incredible ocean views! 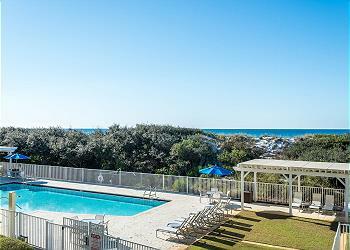 You'll love the private, heated pool, gorgeous finishes, and ample room this perfect beach abode has to offer.